The air is getting colder and the stores are getting busier. That can only mean one thing — the holiday season is here. 1. Embrace the Snow: Bundle up and head to Warren Dunes State Park for cross-country skiing, sledding, tubing and other winter activities. 2. Find the Perfect Gift: With so many antique stores, art galleries and boutique shops, you’re sure to find the perfect gift for everyone on your Christmas list. 3. Sip Vino: There are 12 wineries and tasting rooms in the Lake Michigan Shore Wine Trail. Indulge in an afternoon or evening of wine tasting and decide which local wine is your favorite. 4. Be Entertained: From singing competitions to open mic nights, you can’t beat live entertainment. And it wouldn’t be the holiday season without The Christmas Story. Catch a live performance of it at the Acorn Theater in Three Oaks. 5. Treat Yourself: The holidays can be stressful. Rejuvenate your spirit at one of the many spas in Harbor Country. Pair it with a stay at Firefly Resort for an amazing getaway. 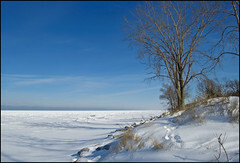 What are your favorite winter activities in Harbor Country? You love to travel. And you love your dog. Why not combine the two? Many of the cottages at Firefly Resort are dog-friendly. Well behaved pets are welcomed in some cottages. Pets are required to be kept on a leash and you are required to pick-up after them. There is one (1) pet maximum per applicable cottage. For our pet visitors there is an additional $50 refundable deposit and a $30 per stay cleaning charge. We also hope you will not leave your pet for hours alone in the cottage. Your pets know they are on vacation and get upset when left alone for long periods. Put your cell phone number on your dog’s ID tags. Make sure your dog is up-to-date on any vaccines. Pack extra water, especially if traveling during warm weather. Be sure to include a first aid kit in addition to your dog’s favorite toys, bed, bowls and food. Call now and reserve your dog-friendly cottage: 269-469-0245. Your dog will thank you! You are currently browsing the FireFly Resort blog archives for November, 2010.